CEDAR CITY – Police arrested a Cedar City couple Saturday after they allegedly kidnapped and assaulted a woman they believed owed them money. James Dean Hanson and his wife Deanna Hanson are facing charges for aggravated kidnapping, a first-degree felony, and assault, a class B misdemeanor. 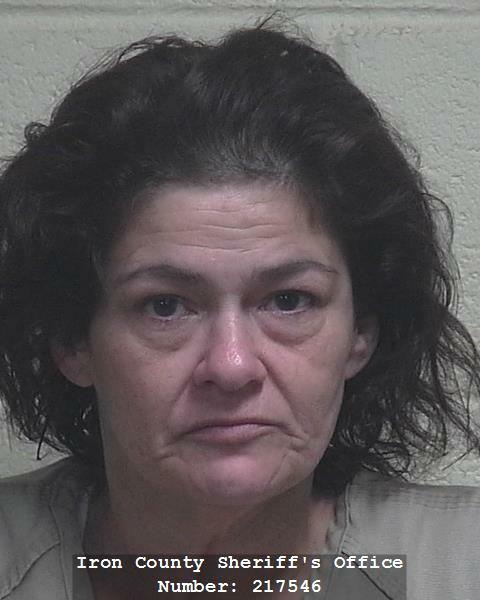 Deanna Hanson was also arrested for possession of heroin, a class A misdemeanor. James Hanson, 52, is in the Iron County Correctional Facility without bail while Deanna Hanson, 48, has a $25,000 cash-only bail. Court records show James Hanson is currently facing several misdemeanor and felony charges in a preceding case dating back to August 2016 when he arrested for burglary of a dwelling and possession of a firearm. James Hanson was previously convicted for assaulting a person with a firearm, kidnapping and manslaughter, police said. The suspect’s criminal history also shows multiple drug- and alcohol-related arrests. 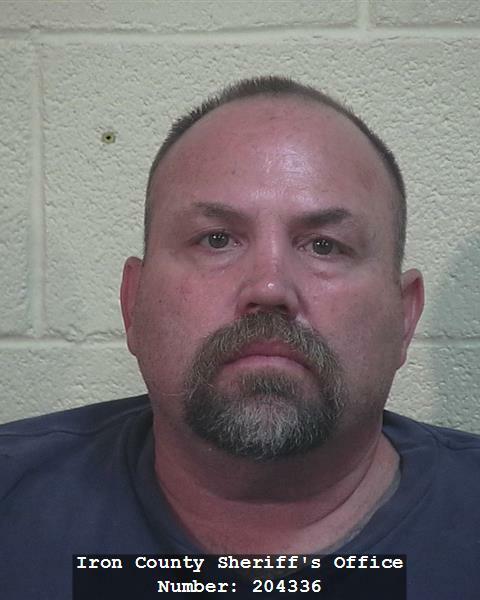 According to the charging documents filed in 5th District Court, Cedar City Police received a call Aug. 29 from the alleged victim who was being treated in St. George at Dixie Regional Medical Center. She told authorities she had been kidnapped and assaulted by a white female and male in their 30s or 40s, but was unable to provide many details of the incident. The following morning, the suspects allowed the victim to drive away from the scene, which is when she drove to St. George for medical assistance, she said. At the request of CCPD, a St. George Police officer visited the victim at the hospital and obtained a written statement. She also allowed police to photograph her injuries, which were scratches on her body, a cut on the back of her head, a bruised and swollen face and visible duct-tape residue on her arms. After trying to make contact with the victim for several days after she left the hospital, Evans said he finally spoke with her Sept 4. At the time, he described her as very emotional and struggling to communicate. She said she was scared for her life, and apologized to Evans for her unwillingness to talk to the first officer at the hospital. The victim told the detective that James Hanson had wired her money to purchase heroin she could bring to him the next time she was in Cedar City. Instead, she said, she spent the money on things she needed as she was uncomfortable buying the drugs. She later brought James Hanson a pair of speakers she was hoping would satisfy him in exchange for the money, but when she arrived at the couple’s home the situation escalated. Deanna Hanson accused her of disrespecting her husband and got up and allegedly punched the victim in the nose, which caused her to start bleeding. Hanson then allegedly taped the victim to a kitchen chair with her hands behind her back and carried her into the bathroom where she set her in the bathtub. “The victim told me Jimmy (James Hanson) said they were going to leave her here for a couple of days and let her get dope sick so she could know how they’ve been feeling the past few days,” Evans stated. The victim cut herself free with a knife she had in her back pocket but when she started running from the bathroom, Deanna Hanson and James Hanson stopped her and began punching and kicking her, according to the court documents. James Hanson also allegedly stomped on the back of her head. The victim was then put back in the chair – this time her head, face, neck, body, arms and legs all duct taped. She was bleeding badly, Evans stated, constantly having to try to push the duct tape away from her mouth with her tongue so she could breathe. She remained in the chair until the next morning when James Hanson ripped the duct tape from her body while telling her he didn’t want to hurt her but wanted her to know how it felt to be sick, Evans stated. The couple allegedly kept her phone, along with several items they had taken from her vehicle, which she listed for police. Evans said the victim remained emotional throughout the conversation and said she feared for her life. “The victim restated Jimmy’s threats to kill her and she believed Jimmy was more than capable of doing it,” he stated. Police executed a search warrant Sept. 8 for the couple’s home where, according to the charging documents, they found blood spattered on the chair and on a rug in the living room, a roll of red duct tape the victim said they used to bind her, tape residue on the chair and hair stuck to the tape residue. In addition, investigators located the victim’s laptop and hair straightener. Police also retained the couple’s cell phone and allegedly found one loaded needle containing heroin along with several used needles and baggies with heroin and methamphetamine residue, authorities said. Evans noted the entire bathroom had recently been painted, including the walls, shower liner, tub, counter tops and sink. Following the search, the couple were taken in for questioning. While James Hanson refused to answer questions, Deanna Hanson agreed to speak to police but denied the allegations, according to the statement. She also contested the search but admitted to recently using heroin. Ed. note: Based on an arrest document and police sources, an earlier version of this article incorrectly referred to James Dean Hanson as a convicted murderer. He was charged with murder, but pleaded no contest to manslaughter in California. I wonder how much time he spent in prison for the kidnapping and murder charge? I’d like to hear more about that. Why was this guy even in our community? The system is definitely broken. Hopefully this time he is gone for good. He is my sons dad ,he killed a guy in a bar in california for disrespecting a lady.Stabbed him 18 times.He spent 12 yrs and some odd days. I’ve known him since high school . I thought he would have changed by now. Jeralynn Im sorry for what he has done to your family . Try to stay strong and keep god close to you . Im praying for you and your family.